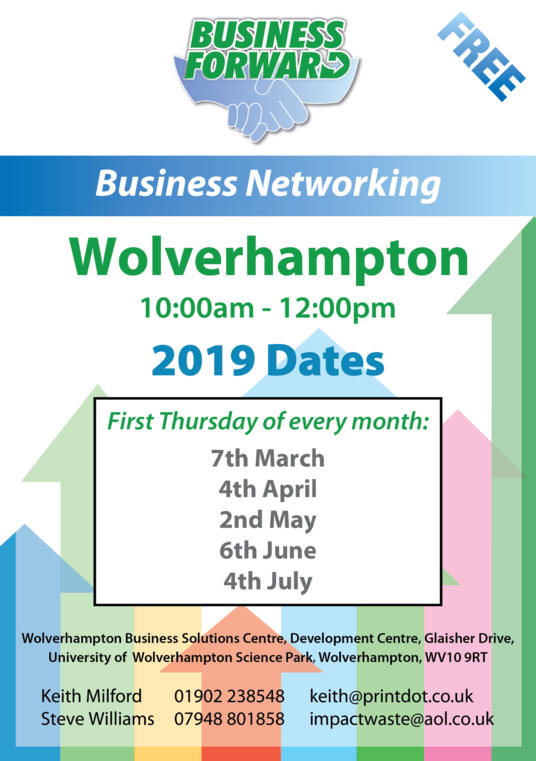 Business Forward is a local networking business group founded and organised by ourselves, which is hosted in Wolverhampton. The general rule is for meetings to be held on the first Thursday of every month, however these dates may change from time to time so please check back regularly to find out what's going on! 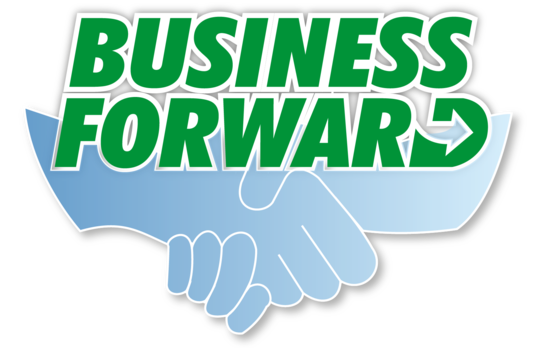 Business Forward is FREE to attend and with hundreds of businesses based in and around the city, there is huge potential for business here. It's a lively group which is increasingly popular and draws people in from far and wide as well! 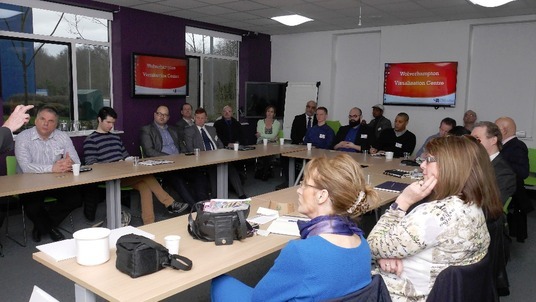 This is an informal meet, so new/start-up businesses need not be intimidated in any way, we have a huge variety of business types and experience levels.